2/11/2013 – He was one of the older competitors, but John Nunn once again showed that his brain is in top shape by winning this tough competition by 43 points out of the maximum of 45, the highest score achieved in recent years (and four points more than his nearest rival). He has written a report for us, with an interesting astronomical image and three sample studies for you to solve. One of the attractive features of the annual Tata Steel tournament is that it is not only about the top tournament. Of course, the main focus is on the games of Carlsen, Anand, Aronian and so on, but there is plenty of other chess taking place in Wijk aan Zee. First of all, there are the B and C groups, which are interesting tournaments in their own right even if somewhat overshadowed by the top group. 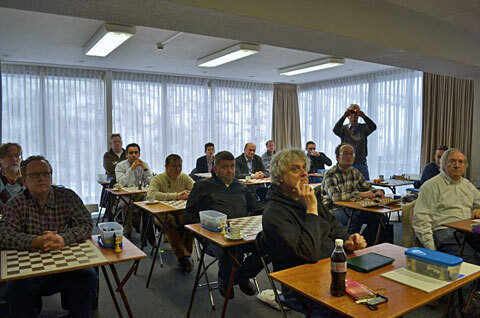 There is also a wide range of amateur events in which several hundred players take part, making the tournament hall a buzz of chess activity. However, this piece focuses on an event which doesn’t even take place in the tournament hall, but rather in the hotel Zeeduin a few minutes’ walk away. This is the hotel where most of the top players stay during the event. 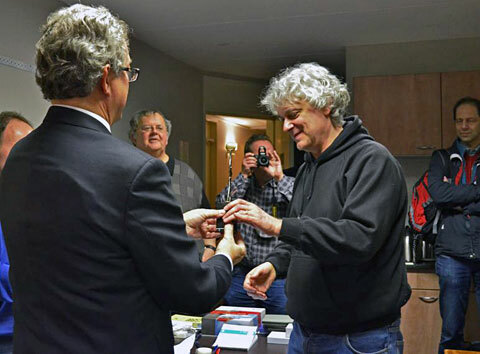 Five years ago, study composer and enthusiast Yochanan Afek proposed having a study solving event at Wijk aan Zee on the final Saturday of the tournament. The idea was taken up, some modest prizes offered and since then the event has been repeated almost every year. 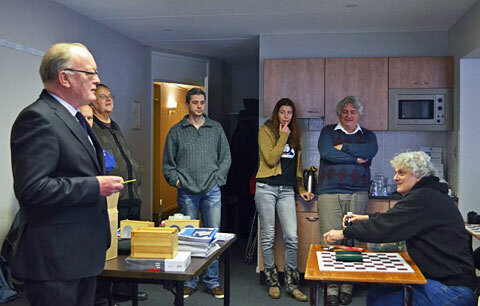 The opening of the Studies Solving Competition, with Jan Timman and his wife standing behind board one solver John Nunn. 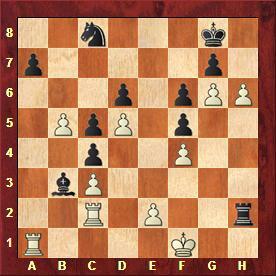 Jan contributed some very nice endgame compositions – he has a great passion for studies – but was playing in the Tata Steel tournament and could not compete in the Studies Solving. 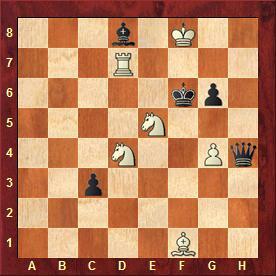 The inaugural event was won by the young Dutch player Twan Burg, who this year was participating in the Grandmaster C group. I won the following year, and in 2012 the Dutch again came to the fore when another young player, David Klein, took first place. 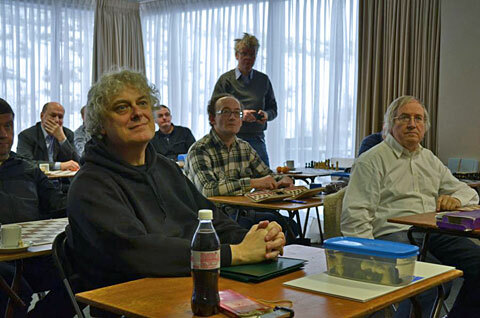 Unfortunately David was not able to defend his title as he, like Twan Burg, was participating in the Grandmaster C group (in fact they finished level with 7 points). 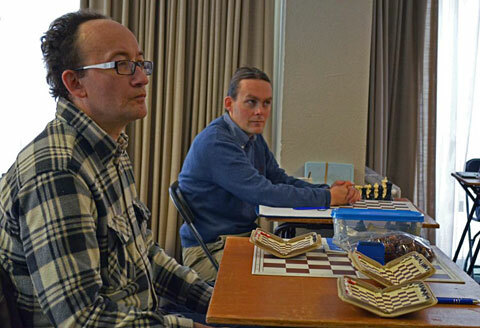 Nevertheless, Yochanan had, with the support of the tournament organisers, assembled a strong field for the 4th study solving day, including current World Solving Champion Piotr Murdzia and the famous Russian composer Oleg Pervakov, who is also a strong solver. Nine studies of varying difficulty were provided and the solvers were given three hours to find all the solutions. Here is a selection of three studies from the competition. 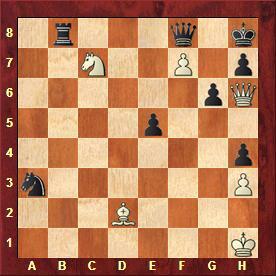 If you wish to duplicate the conditions of the event, then give yourself one hour to solve all three. I was on good form at Wijk, and won the event with 43 points out of the maximum of 45, the highest score achieved in all four years, using two hours and fifteen minutes out of the given three hours. Many thanks to Yochanan Afek and the Tata Steel tournament organisers for supporting a unique event that attracts over-the-board players as well as study experts. It is to be hoped that what has quickly become a tradition will be repeated next year. The above pictures were all supplied by WGM Alina L'Ami, who you may have noticed took part in the competition and scored a commendable eighth place (with 32/45 points). "It was really a very enjoyable tournament," she wrote us. "I love to 'toast' my brain while trying to figure out the key to these problems. And I am proud to say I took the ladies prize! Well...being the only female participant did help. Actually there was no women prize. I have to study harder and go for the men's prize." This image is of the colliding galaxies NGC 4038 (left) and NGC 4039 (right). The pair is commonly known as the 'Antennae Galaxies' and is around 50 million light-years away from us. 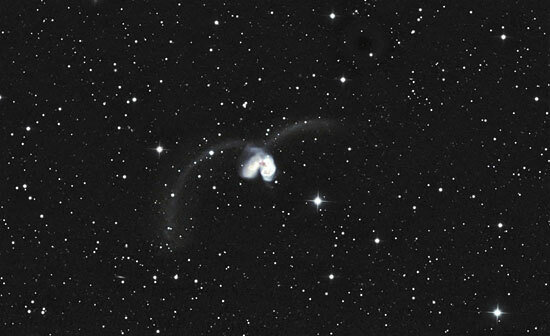 Originally these were two normal galaxies, but about 600 million years ago they began to collide. We now see them at an intermediate stage and about 400 million years from now the galaxies will merge to form one larger galaxy. This could be the fate of our own Milky Way galaxy when it collides with the Andromeda galaxy about four billion years from now. The stars within galaxies are spaced so far apart that in a galactic collision such as this it is unlikely than even a single pair of stars will collide, but the same is not true of the huge clouds of dust and gas within galaxies. As they smash into one another at high speed, many of them will collapse to form stars, a process further accelerated by the disturbing gravitational pull of the neighbour galaxy. 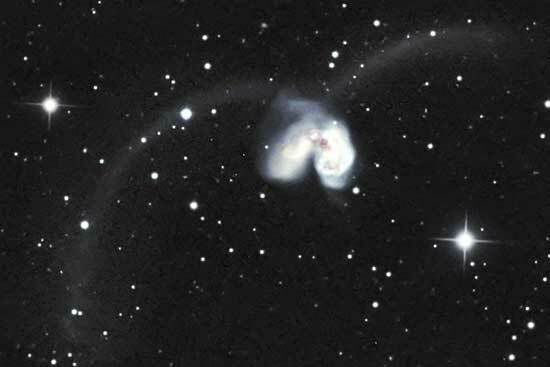 In the image you can also see the two 'tidal tails' which give the Antennae galaxies their name. These tails, which now stretch far into intergalactic space, consist of millions of stars which have been thrown out of their parent galaxies by gravitational effects. This image was taken using the T11 telescope of iTelescope.net, which is the world’s premier network of Internet connected telescopes, allowing members to take astronomical images of the night sky for the purposes of education, scientific research and astrophotography. T11 is located under the clear skies of New Mexico, and I used a total exposure of 85 minutes to take this image. Another chess grandmaster who images on iTelescope on a regular basis, is World Champion Viswanathan Anand, who with some assistance from founder Dr Christian Sasse captured the above image. 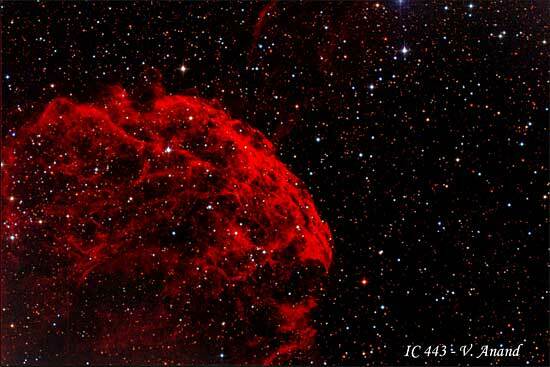 IC 443, also known as the Jellyfish Nebula, is a Galactic supernova remnant (SNR) in the constellation Gemini, roughly 5,000 light years from Earth. Vishy is apparently interested in distant catastrophic events.